I finally got around to sizing all my 44Mag cast bullets today. Ive been so caught up in the casting process I had almost forgotten about the other steps that needed to be done to get them ready to load. After lubricating my bullets with Lee liquid alox and letting them dry overnight it was time to size them. 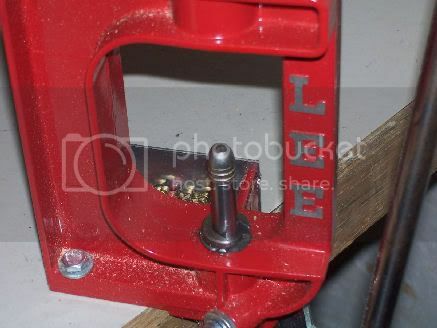 With the Lee resizing die the bullet is pushed nose first into the die so theres no special nose punches needed. 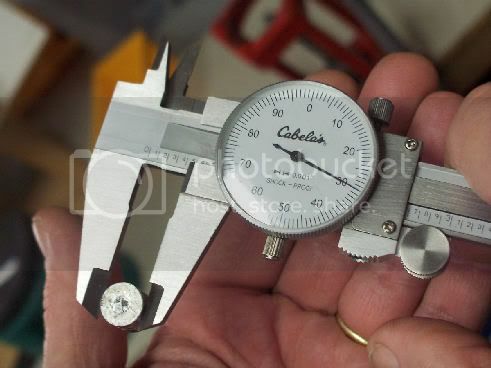 After being pushed through the sizing die the bullets are caught in the container above that slips on top of the die. 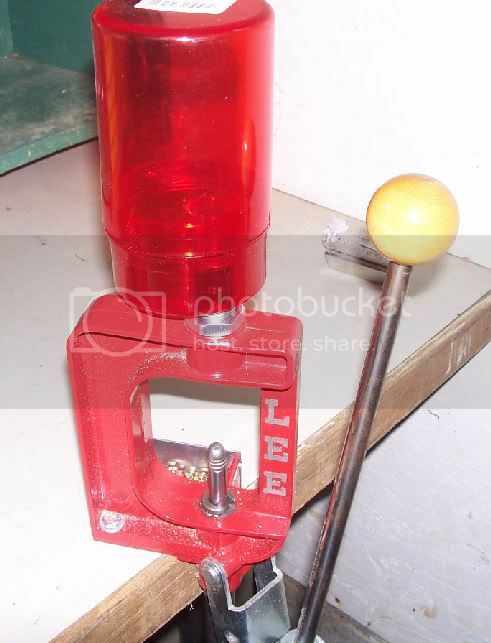 The Lee setup is quick and easy to use. My bullets are now sized at .430 and after lubing them again are ready to be loaded.